The worrying results of the survey by EDC-Free campaign partner Générations Futures shows the need for rapid implementation of the European Regulation on pesticides and of the French National Strategy on endocrine disrupting chemicals (EDCs). To demonstrate the urgent need for strong, preventive action in the field of endocrine disrupters, Générations Futures has launched a series of reports on these chemical substances, which threaten the development of the fetus and young children even at low doses. These reports are based on detailed testing and analysis to show the many, omnipresent endocrine disrupting pesticides in our environment causing significant human exposure. Green salad (lettuces, rocket/rucola, etc) is the fourth most highly consumed vegetable in France with households consuming 5kg per year, according to data from INSEE, a leading national statistical institute in France. Considered a "health" food, many brochures from INPES (1) recommend consumption, especially during pregnancy and childhood (2). Generations Future fully supports these recommendations. Green salad is subject to specific monitoring for the presence of certain chemical substances. Existing findings show that green salad is among the vegetables with the highest pesticide residues. The DGCCRF (3) monitoring plan published in 2013 showed that pesticide residues were present in almost 58% of samples tested. Moreover, according to EFSA (4) - the European Food Safety Authority, 36% of lettuce contains between two and 13 different residues. 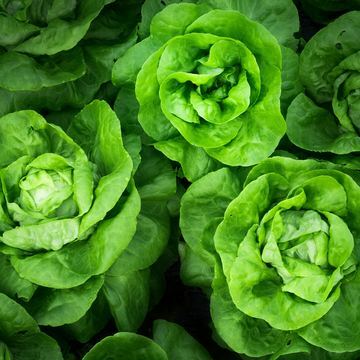 Many of the residues EFSA commonly finds in lettuces are suspected endocrine disrupters, such as propamocarb and iprodione. These troubling data led us to want to know more about the presence of pesticides in salads in France, and especially about those pesticides suspected of being endocrine disrupters. "We are warning our leaders of the need to take immediate and strong measures to reduce people’s exposure to pesticides, and especially those suspected of being endocrine disrupters. We expect them to compel Europe to rapidly implement the decisions taken as part of the European Regulation 1107/2009, which prohibits putting endocrine disrupting pesticides on the market," says François Veillerette, spokesperson for Generations Futures. "In addition, it is unacceptable that pesticides which are banned in Europe or prohibited in the cultivation of salad in France are present in over 16% of the samples tested. Again, we expect strong government action to quickly put an end to this situation – both in the cultivation of salads and all the other crops," he adds. *French abbreviation for "Exposure to endocrine disrupters"
5. The precise figure is an average of 3.77 residues (not including methyl bromide). With methyl bromide, the average is 4.38.